Torsion springs are located above the door and are safer and more suitable for double garage doors (14 ft. Wide & over). 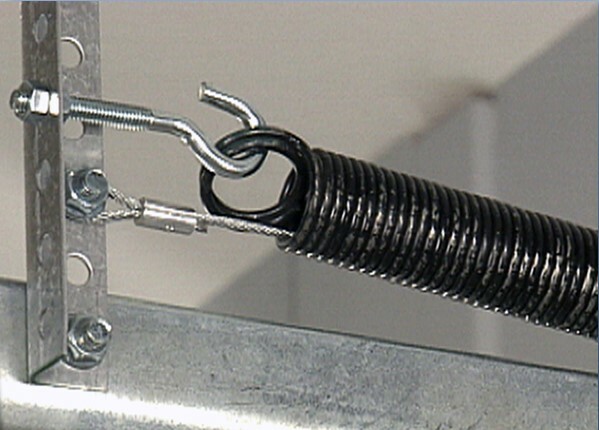 Extension springs are located above the horizontal tracks and require less clearance. They must always be equipped with safety cables because if a spring breaks, the cable stops it from falling and hurting you or damaging your car. This is all about your safety.